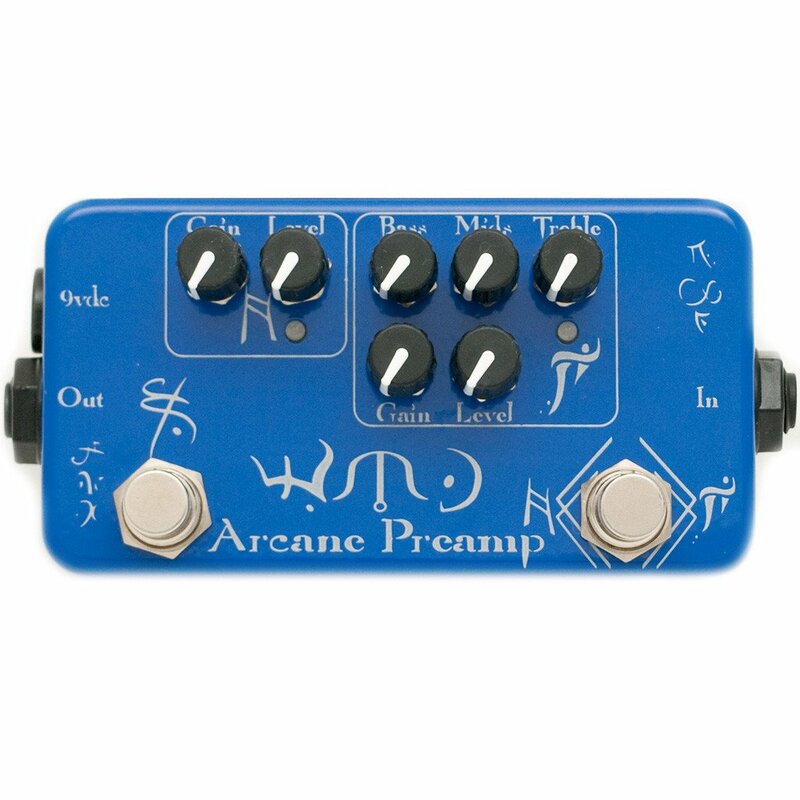 The WMD Arcane Preamp is a two channel true bypass pedal. The first channel is a medium gain boost that adds a little bit of sparkle and breaks up into a soft overdrive when hit hard. The right footswitch activates the high gain fuzz channel which is fed by the boost and can provide hot lead tones or maximally crunched fuzz. A three band tone stack allows you to sculpt the fuzz tone into just what you want. Click for sound samples. Warranty - All WMD pedals are warranted against manufacturer defects for one year from date of purchase. Contact WMD if you have any problems.